Trans Iowa V9 Part 1: Let's Do This! It says "Adventure Awaits You" right on the can!! After months of preparation, planning, thought, time spent, money spent, and the producing of materials for the event along with the organizing and packing, I was all set to "push play" on this thing called Trans Iowa once again. Despite a little bit of a time crunch due to the late Winter weather here, I wasn't stressed about not getting things done, but rather by worrying about what I may be forgetting. So I made this big checklist and verified everything in the tubs packed up to make the trip to Grinnell. I even detailed my bag contents, just to be sure. Everything was where it should be, so I loaded up the truck and was setting off to hit the road on a fine Friday morning when I thought I would try the car charger Mrs. Guitar Ted got me for my iPhone 4s. Then I found out that one tiny detail, a critical part of the puzzle, yet so mundane an object, could have derailed the entire Trans Iowa weekend for me. A freakin' Apple specific USB cord. Yep! I apparently assumed that a car charger would come with a cord. Nope! And it was a good thing I checked just seconds before heading out. Back in the house, and within 30 seconds I avoided leaving with the one thing I needed to power communications at Trans Iowa V9. Whew! That was close! Uhh....does it have to be that chunky guys? Part of the other lessons I have learned over the years is that roads can become magically closed, flooded, or otherwise compromised just a day before your event. So these days I always drive the beginning of the course on Pre-Race day to make sure I don't have to be scrambling in the dark come the next day re-routing the course. Since T.I.V9 went North this time, I could back track the route on my way to Grinnell this year, and I drove 130 miles of the course Friday. When Wally, George, and I verified cues two weeks prior to T.I.V9, we found a barricaded road that was damaged by run off when we had a rain on top of some frozen snow and it washed away part of the roadbed. It was not a big deal at the time since the barricades were torn down enough to drive around them and the roadway was passable, albeit very rutted and rough. Would it be repaired by race day or.....all dug up and impassable due to repairs? I had to find out, since this was an integral part of getting up to the northern portions of the course and connecting Mormon Ridge Road into that from the south. I really wanted Mormon Ridge in there, so it was important to me to have this road work out. Well, fortunately it was good, and in the same condition as it had been. I would have to warn the riders, but it wasn't a big deal. The worst thing I found was huge, chunky gravel and soft patches of fresh gravel along the way. I noted lots of dump trucks, and a county road grader right on our route. It was only going to be worse on race day! But if that was the only negative, I was all good with that. to organizing the Trans Iowa event in Grinnell, Iowa. We appreciate your efforts to attract visitors to our community. Trans Iowa V9: Another One In The Books. Many, many, many things to process through here. Words are not coming easily for this edition of Trans Iowa. Congratulations to all who finished and all who toed the line and experienced Trans Iowa V9 in any way. Thank you for coming to Trans Iowa! Thank You!!! My Volunteers at Checkpoint #1 and Checkpoint #2. You guys and gals were awesome once again. Thanks to Rob Versteegh and the crew at The Barn for enhancing our experience and being super fans of cycling and Trans Iowa! Okay....stories to come. Stay Tuned!!! Welcome to the series of posts concerning Trans Iowa V9. Look for this series of posts to last through next week. For live updates from myself and perhaps some racers, look for my Trans Iowa Radio posts on Mountain Bike Radio here. It would seem that several folks are pretty nervous about this year's event. I've heard the obvious stuff you'd expect from Rookies. I've heard a few nervous things you might expect from Veterans, and I've even heard a story concerning a seasoned Finisher that indicates to me that Trans Iowa tends to be taken pretty seriously. It should.....and then again, it is just a bicycle ride, afterall. But I think it does show that Trans Iowa is a challenge most riders do not take lightly. And I don't take it lightly either. So, since I don't ride it, why is that? Well, it is a challenge for me as well. A challenge to get the cue sheets right, to get the volunteers ready and in place. A challenge to see to it that the route is clear and safe to travel just ahead of the riders. If it isn't, it becomes a challenge to make sure I re-route in a clear and concise manner. It is a challenge for me to do this and stay awake for the entire event, or most of it. So yeah.....I don't ride Trans Iowa, but this gig isn't necessarily easy either. Just very unusual. And I get the jitters too. One good thing about this weekend is that the weather forecast is pretty fantastic. (See the exclusive Trans Iowa forecast by 2WheelWeather here.) At least that part won't be causing any unwanted headaches, or I wouldn't think that it would. There is the past effects of the weather a week ago or so that may be affecting the roads, which I will be checking out today before the 4pm Pre-Race Meat-Up. 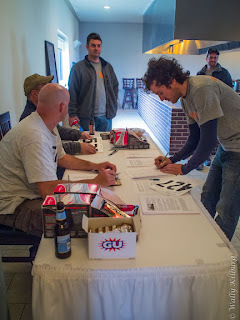 Riders will be showing up and signing on, eating, and then at 6:00pm, the sign on ceases and anyone not on the list is out. Hopefully that is understood and everyone makes the effort to be on time. 7:00pm is the time for the Pre-Race meeting proper, then we're all off for a fitful night's sleep and an early wake up call for Trans Iowa V9. The blog posts will be at odd times throughout the weekend, so bear with me. Real time info on Trans Iowa Radio will be found throughout the weekend here. Search the #tiv9 hashtag on Twitter for short updates and maybe some images. Trans Iowa V9: Are You Kidding Me?!! Okay regular readers, this is fair warning for you. From now until.....well it could be up to ten days....this blog will be all Trans Iowa all the time. I wouldn't blame you for checking out for a while. For those of you nutcases, curious bystanders, and lovers of all things beyond weird, stay tuned. This is going to be another whirlwind ride and there are a lot of things going on. First, you have to have been a pretty experienced Trans Iowa veteran to be included in my group for getting that accomplished. While there are a couple of "rookies" in the event that I know have it in them to pull something like this off, they do not have the particular T.I. experiences under their belts, and anything like missing a turn, misjudging a corner or down hill, or not knowing the techniques to attacking a B Road could derail a sub-24 hour attempt. The nutrition would have to be spot on, the bike would have to be perfect. I'm not saying a rookie to this event couldn't pull it off, but it is highly unlikely. Will B Roads be dry enough to ride at T.I.V9? So.....a Veteran then? Maybe, but as I look on the Vets, I have to be honest and say that I see "steady as she goes" types that will be fast, but not ridiculously fast, like you would need to be to pull a sub-24 T.I. The Veterans and Finishers will be tough, but they also realize that Trans Iowa, despite nice weather, is not to be trifled with. Just ask the Braun Brothers! So, is there anyone out there that could do this? Yes. Some are in this years Trans Iowa, some are not. I am quite certain that someone of the caliber and talents of a Joe Meiser, John Gorilla, or Ira Ryan would be capable at the height of their powers and on a "no flaws" ride, these athletes could do it. Ira never rode any of the, what I consider to be, tougher routes, with lots more climbing than T.I.V3 and more B Roads. Joe and John had certain elements derail their possible sub-24's as well. But all are people I would point to and say, "they got the right stuff". And the curious case of The Braun Brothers comes into play here as an example too. Last year, despite some not-so-great weather, these guys burned off all chasers and were within 100 miles of an easy sub-24 hour Trans Iowa. But then something happened. Fatigue. Sleep deprivation. Mental acuity went out the window, and their attempt ended 60 miles from the finish line at about 1:50am. They had slowed down considerably in the three hours previous due to their maladies. So, by 10:00pm Saturday night, their quest for the sub-24 was effectively gone. Even Ira Ryan and Brian Hannon, who sustained a 18 miles covered on course each hour pace for at least a 100 miles in T.I.V3 couldn't sustain that pace, and that was over a lot of flatter ground. Brian burned up a knee, and Ira was much slower in the second half of that one than he was the first. Remember- look for all the Trans Iowa Radio updates to appear here. You can call in if you are a racer to the number posted there as well to leave a message. Those will appear as audio links anyone can listen to, so be good! There will be a final Trans Iowa specific forecast for the event Friday from 2WheelWeather and you can find that here. Intro: This year marks the tenth year I have been riding 29"ers. It also is my ten year anniversary of owning my Campstove Green Karate Monkey. There will be several posts throughout the coming months about my story with my KM and what is going to be happening to it now. Here is the last update. Okay, the last four posts have dealt with the history of this bike with me. Now it is time to look into the future a bit. The bike needs some work too, and so I will paint a vision for where I want to go with parts and upgrades as well. But before any of that, I am going to point out a few things about this bike that have always driven me a little nuts. Things I just do not like about the Karate Monkey. You know.....nothing is perfect! One of the things I didn't care for from the get-go was that the Karate Monkey was a bike that tried to play nice with a lot of possibilities. This probably still made sense in 2001, or whenever Surly put pen to paper on the Karate Monkey design. Many folks were not on board with disc brakes yet then, and honestly, there were not too many good designs yet. Fortunately SRAM/Avid had the venerable BB-7 brakes and I didn't have to use cantilevers, but I had to live with those "tumors" on the fork and seat stays. The other thing that always bugged me from the time I got this bike till now is the track ends in combination with the disc brake mount. To remove a wheel to swap tires, (which I often do), or to repair a flat, is a half an hour ordeal and three wrenches involved. Sometimes it is frustrating to have to deal with this when I have other single speeds I can walk over to, flip a quick release lever on, and drop the rear wheel in a flash. I also always had to use a chain tug with this bike or I would inevitably crank the wheel sideways in the frame. It is just a cheap, bent steel and threaded rod chain tug, but regardless of what it is, it is, and that is enough to ruffle my feathers when I have to deal with the rear wheel. The final thing that always bugged me was that dratted cable stop on the drive side chain stay for a rear derailleur cable. I'll never gear this bike up, and that cable stop, brazed on so it peeks out a bit from underneath the chain stay, is a snagger. Once I tore a heel cup off a brand new pair of Lake cycling shoes on that bit. Gah! Small concerns to be sure, but there they are. All that to say the Karate Monkey circa 2003 has its warts. (Pun intended) Sure- I could have all those unwanted bits ground off, but then we're talking repaint, and .......no. There is a certain patina and character on this frame from over ten years of use, and I feel that- for me- it would not be right to mess with that. Warts and all, it stays. There will be a thorough cleansing, yes. There will be some measures taken against any rusting I may find, but that is about it. Clean, touch up where necessary, and wax it up before rebuilding. But the stickers are staying put! Yes, there will be a rebuild, if a certain component comes out. I have tried twice before over the years, with no success, to remove the cartridge bottom bracket from this frame. When the frame was new, I had a salvaged UN-52 X 118mm bottom bracket cartridge, circa mid-90's vintage, that I installed. It has lived there ever since, and it has developed a knocking, indicative of a bearing crying for mercy. Well......it has lived a hard life, after all. But try as I might to relieve it from duty, it won't budge an inch, or a millimeter, as it were. I must try to find a good way to get this bottom bracket out, or this whole project will be taking on a very different complexion. I am confident that it will eventually break free, but this will be difficult. If I am correct, and the bottom bracket gives over, I will then go about the business of re imagining the bike, not doing a restoration to my original build, but a combination of things I have done over the years. Drop bars will stay on, but likely they will be Midge Bars. Single speed- of course! New wheels will be a part of the build, with a twist. I will likely break up the "Chocolate Chip" wheels, use the Surly Jim Brown hubs, and lace them anew to some rim or another, which I have yet to determine. The rear will be bolt on. May as well be another wrench in the tool kit! (A Surly wrench at that!) I may even retain the bolt on front hub. I'll get a White Industries free hub, and I may resurrect the Cook Brothers crank I used in the beginning. Then the bike will also get a Brooks saddle, a new seat post, (Maybe that Paul Components one), and the brakes will be the good ol' Avid BB-7's, unless something better pops up. It'll end up being the gravel rig I used it for most of the time, and I'll refine that set up to where I had it back in '07-'08. Then the plan is to do a really long ride on it. Next: It may be a while before another update, but the next step is tearing the old girl down and getting that nasty BB out! So there has been a lot of last minute preparations being done here at the house for this weekend's Trans Iowa V9. Lots of manual labor going on! I hand cut all the cues into their final shape, then arranged them in sets, and then bagged them. All that but the first set from Grinnell to Checkpoint Alpha are done now. The hold up? Ran out of Zip Locs! Yeah.....it may not be all fancy, but it gets the job done! You will have to survive on your decisions on what you carry for grub and water. There will be convenience stores, and I suggest that you use them! Going by one without stopping may be your undoing. As I have said: all riders should carry supplies to get by for 100 miles to start, and resupply to keep that up through the event. Oh yeah.....did I mention that most Iowa convenience stores close at night Saturday around 11pm? So there is that factor as well. Just be careful about water and food. The weather? Have you checked it out? It looks awesome this year. If what they are laying out comes true, it could be the best weather since T.I.V3. That would be incredible! Anyway, supposedly there is going to be a custom weather forecast for Trans Iowa up here. Last I checked none of the links were live yet, but keep checking. UPDATED: I am told now that the weather links are up and working. Click through for the latest word on weather for Trans Iowa. Sea Otter- You know.......that yearly gig near Monterey California where all the cyclists hang out? It's a kind of mash-up of racing, trade show, and tribal stomping all wrapped up in the rolling hills of Central California's Coastal Region. Some folks call it "Bay Weasel", which makes me laugh. Anyway...I used to go there and cover it for Twenty Nine Inches, but this lil' gig got in the way, and now my friend in SoCal gets the honors. However; I get to read all the stuff and see all the images Grannygear gathers there, plus talk to him on the phone, where he shares some insider stuff with me too. It's almost as good as being there.....almost! 27.5"ers are "all the rage". First thing that you might notice is that this "enduro" thing is really the "next big thing" in mountain biking, at least competitively, and the Industry has decided that riders need a new weapon to achieve eternal glory in this "new endeavor". That weapon is a long travel, (150-170mm), 27.5" wheeled bike. Yes, your old 26"ers that are in this wheel travel category are now inferior. It is time to step up to the (slightly) bigger wheel dubbed 27.5"er. You may try to draw some comparisons to 29"ers here, but ya know what? 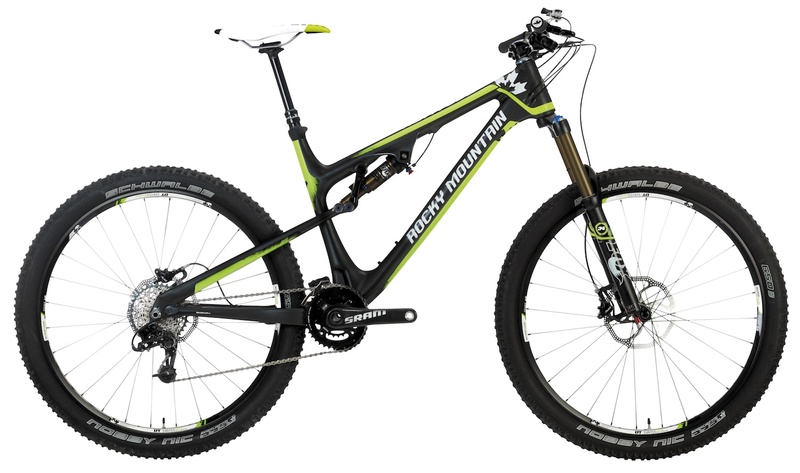 These new 27.5"ers are not anything like where 29"ers came from. 29"ers were summarily despised by a big slice of the bicycle industry at the outset, and some companies waited for years, (literally), before coming out with 29"ers. Some said they were "circus bikes" and some said that they would "never build a 29"er", but they did, (in both of my examples), and now have those bikes as a big part of their line. This is not the case with 27.5 wheels. Companies are pushing this wheel size with no compunctions and no reservations as to its effectiveness, (or lack thereof), so it is not at all like it was with 29"ers, which were driven by demand from riders, and the 27.5"ers are a "top down" marketing gamble. No matter if they are better than the previous 26 inch wheels, which they very well may be. But one has to ask- if the wheel size is good for long travel bikes, why has it taken six years for these companies to figure this out.....all of a sudden? Cause 27.5" wheels for mtb has been around a few years or more. I just find that odd, but again.......the bikes are probably really good, it's just not anything like how 29"ers came about. And I think it is odd that all of a sudden 26 inch wheeled long travel bikes are being dropped like a hot potato. The new Yeti ARC: Clown bike indeed! 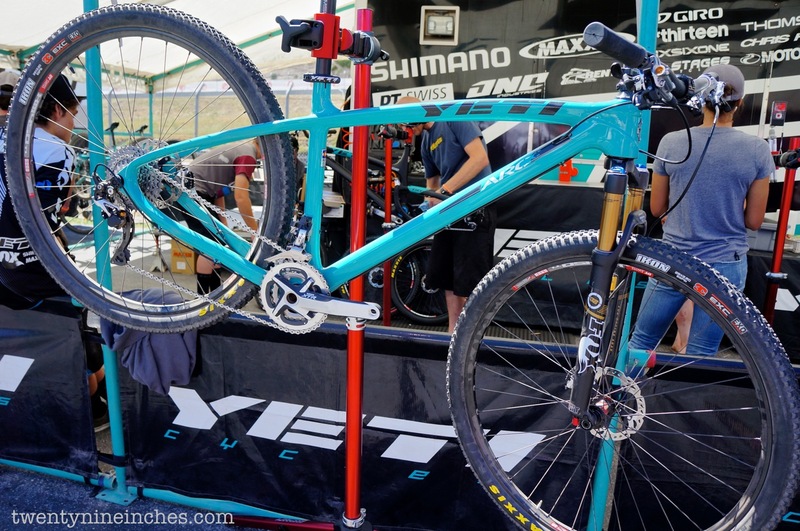 The other observation I was impressed by is a reaction I read to Yeti's introduction of their newest 29"er hard tail bike, the ARC. Those three letters are historically important in MTB racing history. The "ARC" model has a racing pedigree and a standing in Yeti's line that isn't taken lightly. Yes- Yeti's owner wasn't enamored of the big wheel, but I really do not think that is a big deal. Not like some folks apparently do. That just tells me these companies have character to say, “Hey- That is a good idea. We were wrong about them.” And then they get behind big wheels and put in the R&D, creativity, and let’s not forget, money- to build a great product. I respect that, actually. It says something good to me. Some folks may not see it that way, but I think that Specialized and Yeti saw 29″ers for what they are- a good idea in terms of mtb, and a way to……(yes- I’m saying this)….to make some bucks, cause- ya know- they are in business to make money, not break even, or lose it. Which to the former point means that 29″ers resonate with the riders. Otherwise there would be no marketing, or market, for that matter. 3GR Report: April Is Still Cold!! Another chance for a 3GR was here the weekend before Trans Iowa, and with a prompt from Craig via e-mail, I made the early morning call to suit up, (in layers! ), to get my sad carcass out on the road and meet up by 8:30am. However; I wasted a bunch of time with indecision on what to wear, and I couldn't find the gloves I wanted to wear. Oh well! I did get out the door and going, eventually! What I found was a stronger wind than was predicted, and it was blowing chill straight outta the North. Brrr! My ears were telling me that the Buff headband may not have been enough. Then I noticed ice! Wherever there had been puddles from the recent rains, there was now ice, and I was running those skinny Almanzo tires. I had to be a bit careful getting around a couple of spots there. But the big problem for me was I felt sluggish and I had little time to get there! Craig is looking very fit! Craig was waiting at the parking lot when I got there with three minutes to spare! I'm sure he was wondering if I would show up. But I did, breathless, and cold, but ready to ride on. We started out Northward into the chill wind and were chatting away like always. Some of the early road out was freshly maintained and Black Hawk County had laid on some coarse gravel in a thick layer. This worried me a bit, as the Challenge Almanzos are not a comfortable tire in this sort of scree. I found a clearer line though, as we turned West, and then it got even better the further out we went. At first though, it was such a rattle being on that gravel that I thought I may shake my eyeballs out! Ultimately we reached Camp Ingawanis and roads were so smoothed over up that way that they took on the appearance of pavement more than gravel roads. I also noted that it felt warmer than 30°F, but I think I was just being wishful! The roads continued to be really pretty nice. Dry, very smooth, and fast. This was a good thing for the set up I was running. When Craig and I got back in the vicinity of the end/beginning of our loop, that nasty chunk was there again, but it didn't last all that long. When we got back to Cedar Falls, we hit Cup Of Joe's and then my feet finally warmed up! The chat and coffee was good, but soon it was time to get back on the bike and head for the shed. I was feeling pretty good considering the lousy legs I had to start out the day. The ground had softened up in the Sun by the time I went back home and I noted that the wider HED rims definitely made the Almanzo work better on gooey grounds. However; I just can not get over how jarring a ride these things impart, and how much buzz I feel through the bike running them. It's what I call the "roadies gravel road tire". If you want to keep a similar feel to what a road bike tire riding on the gravel would be like, this is your tire. Only on the ultra-smooth dirt/gravel are these really pretty nice feeling, in my opinion. Oddly enough, on pavement they feel slightly sluggish and the aggressively diamond shaped tread makes strange noises at times. But besides this, the ride was fun, and everything went well, so I can not really complain. Of course, that will be my last 3GR until May now with Trans Iowa coming next. I wonder if we'll see ice in May? Here is you "Schedule Of Events" for next weekend's running of Trans Iowa V9. Some of these times are "TBA", and I will fill in the blanks as soon as I get confirmation on an exact time for a particular event/happening. Okay? Here we go! 4:00pm: Pre-Race Meat-Up starts at the Grinnell Steakhouse. Riders and support people should get there and start grilling meals. 4:00pm: Rider Check In- Riders in T.I.V9 should arrive, check in at the event table located near the grill, and get their race number, zip ties/pins, and sign all waivers. 6:00pm: Rider Check In Ends!! If you have not checked in by 6:00pm, you won't be racing. 6:30pm: Racers meet in big room for the Pre-Race meeting proper. This should take about an hour. The T.I.V9 Raffle will also be held during this time. 3:30am: Riders should be readying themselves in front of Bikes To You in downtown Grinnell on Broad Street. 3:50am: Riders will be asked to line up for the start. 4:00am: T.I.V9 STARTS! Controlled roll-out through the streets of Grinnell. There will be a blockade on Highway 146 as we cross. The racers can ride in earnest once we cross that highway. 6:30am: There will be a "spirited" and difficult ride of at least 100 miles or so using the first 50 miles of the Trans Iowa course starting from The Barn which is located 3 miles West of Grinnell on Jacob Avenue. (Directions to The Barn will be given at the Pre-Race Meet-Up.) Riders ride at their own risk, no sag, no support is offered nor implied. Route will be based loosely off T.I. cues. Be prepared for an adventure! 6:30am: (Time To Be Announced), Riders may organize a more casual paced, shorter ride as well on gravel.Riders ride at their own risk, there is no sag, no support, nor is there any intentions for such during this ride. Ride will be based loosely of T.I. cues. Be prepared for an adventure! Riders Finishing Trans Iowa: Typically I would never expect riders earlier than 5am. That would be on an exceptionally good weather year. If there are winds, rains, or both, early rider arrivals will not happen until 8:00am and later. But however that goes down, if there are finishers, you can welcome them in at The Barn, as that is the finish line for T.I.V9. Keep your ears pressed to Mountain Bike Radio for the latest updates on when you might expect someone to show up at The Barn.Riders should trickle in all throughout the morning and early afternoon. 2:00pm: Trans Iowa Ends. The cut off for riders to finish is 2:00pm, so after this time we will shut down the event, clean up, and everyone will bug outta there for their respective homes. I am suspending the normal "Friday News And Views" post today because I can't begin to even consider anything outside of Trans Iowa at the moment. There just isn't any room for other thoughts in the brain right now. So, here I go, and hopefully this post will be somewhat therapeutic and allow me some peace. So, the big news is that "Trans Iowa Radio" will be happening on Mountain Bike Radio's site, but with a twist! Here's the deal: There will be a page on Mountain Bike Radio, (go here), which has this phone number- 888-573-4329- which I will be calling in updates to, but racers will be able to also use this number! Mountain Bike Radio will then make sure these calls are "ready for prime time" and then post them up as audio files for you all out there to listen to. So, this should enhance the experience for listeners as they get the real, from the saddle thoughts of riders and my rambling anecdotes as always. Plus, racers can communicate to supporters all over how they are doing, call out sponsors, and just generally give folks a different perspective on Trans Iowa which hasn't ever been available before. Social Media: Which all brings me to the social media aspect of this event. I realize almost everyone has a smart phone. I know that in the past people have utilized cell phones as a way to allow folks to call and support them psychologically and logistically. While I and the volunteers can not stop you from using your phones this way, it isn't in the spirit of the event, and if we see any blatant use of phones in this manner we will approach you and ask you to stop it, or risk being DQ'ed. Yes- you can Facebook, Tweet, and use the Mountain Bike Radio messaging number. That's all one way communication, and totally cool with me. Besides, the more you try to text, Tweet, Facebook, and whatever with your phone, the faster you are going to drain your battery, and then what? Yeah.....unless you are sporting the new dynamo hubs that charge smartphones, you are probably going to roach your battery in short order, because you will be in areas not covered by cell phone towers. So, just be wise with your use of social media, and make sure you have a cell phone that works, ya know.........just in case! Sunday I took my first ride of the year with my son. He isn't quite so ready to ride in inclement weather, and really, we haven't been snow and ice free for all that long anyway. Well, as it has been a long Winter, which pushed back Spring by a month, at least, this isn't all that surprising. That is what it is, but now we are ready to share some rides together again. The last was in December of last year. Been far too long! Anyway, he wanted to hit the alleyways that thread behind many of the residences here and are primarily dirt with copious amounts of mud puddles in them right now. The plan was to splash through as many as we could find in an hour or so. We donned our wet weather coats and headed off in whatever direction suited his fancy. Since he was so engrossed in the hunt for the next mud puddle, he took us into territory he had never ridden into before East of where we live in the older parts of the city. I had to chuckle when he looked up and he thought he had been there before, when plainly he had never been down that particular alleyway before. No matter. We were having fun, and since I decided to take the Snow Dog, I was finding all the bits of mud to float through as well. Jacob had squirreled away some energy bars in his jacket and asked if we could stop to eat them. I agreed to this plan, but I did not wish to eat in an alleyway! I suggested we find a bit more pleasant spot to stop, and so we meandered over to a large open field near our house where we could sit in the grass. I brought a couple of water bottles and we shared our goodies on the ever greening grass of Spring. We ate and drank and then we chased each other around for a bit in a game of tag. Then it was time to head on back home. Looking ahead I am going to replace the handle bar and grips on the boy's bike. Something a wee bit wider and grips with a bit more bulk that lock on for his big ol' paws. I replaced the platform pedals just before our ride and he appreciated the bigger, grippier pedal over the stock plastic bits the bike came with. Oh, and I have been secretly jacking up his seat height without him noticing as well. He's growing, and I am trying to keep up with that! Maybe I will stick a rear rack on it too. The end goal is to take him on an overnight bikepacking trip to the local State Park when school is out. That should be a scene! Intro: This year marks the tenth year I have been riding 29"ers. It also is my ten year anniversary of owning my Campstove Green Karate Monkey. There will be several posts throughout the coming months about my story with my KM and what is going to be happening to it now. Here's the last update. The years that came after 2007 were more and more focused on doing rides on other bikes for my gig over at Twenty Nine Inches. The moment the trails opened up till the moment the snow flew was consumed with riding everyone elses bikes and almost never any of my own. That didn't mean that I didn't find a way to use the KM, or to ride it at times. Things started infiltrating the once highly tuned design because of this. Planet Bike fenders, Velocity rims, Salsa Cycles Woodchipper bars, a Wipperman chain, and a Cane Creek Thudbuster all ended up making their home on the Karate Monkey with some of those things staying and some of those things going away after a bit. Probably the oddest incarnation of the Karate Monkey over the years was a version I dubbed the KMFDM which was short for "Karate Monkey Fixie Death Machine". I had gotten a Tomi Cog and bolted it to the disc mount of a Surly "Jim Brown" hub laced to a chocolate brown Velocity Deep V rim and with a swapped out crank set, Surly ring, and monstrous Wipperman stainless steel chain, I had a fixed gear fatty for a time. 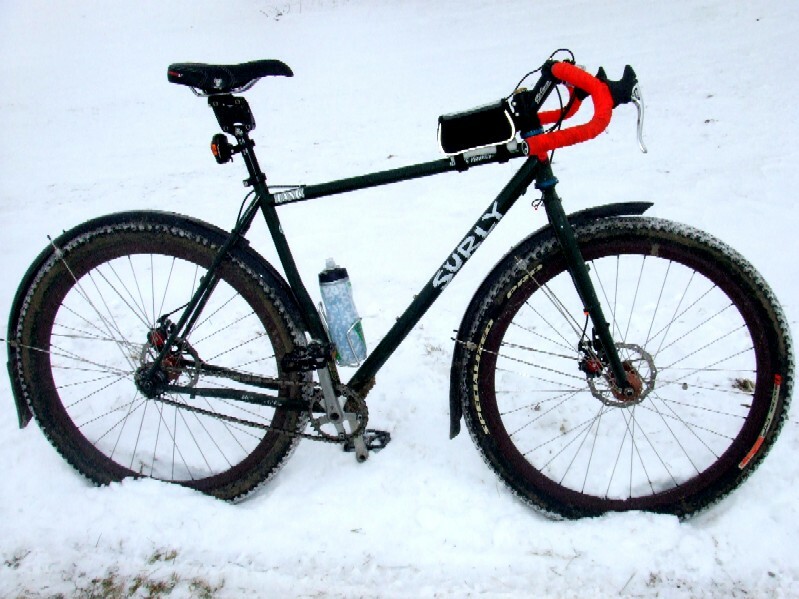 I remember a special ice ridden ride I know I wouldn't have pulled off without a fixed gear set up on the Monkey. Monkey circa 2010 w/Chocolate Chip wheelset. That wheel set I used was all brown with exception of the spokes. I dubbed them the "Chocolate Chip" wheels. They were really far too narrow for the Specialized Fast Track tires I used on them, and the tires were monstrously slow rollers. This really was one of the biggest contributing factors to my not riding the bike. I didn't have the time to devote to tweaking on this bike like I used to, and due to those things, I just wasn't motivated to pull it from behind the ever increasing pile of bikes it was buried behind. Then about two years ago I got ahold of the original wheels I used on the bike which had gone to a friend for a time. These were refurrbed and reinstalled on the KM which brought a bit of interest back to the bike. I actually rode it for a review on some tires. But then it fell back to the bottom of the heap again as I got sucked away by other bikes. Now it is the ten year anniversary of owning the bike, so I want to revive this rig and get back to riding it again. Interestingly, there are only a few components left from the original build. The head set, the bottom bracket, and the brakes. Well, that and the wheels. So now it will come down to deciding what to do about the build and before that, how to get a niggling issue overcome that has been a problem haunting me about this bike for years. Late 2011: During cyclo-cross season an image leaked out of a hydraulic road bike lever in development by SRAM. (Or so we were led to believe back then.) I remember thinking, "It's only a working proto-type. Maybe it won't even look this bad when it comes out. Nah....they wouldn't bring out something that clunky and ugly. No way! " Doh! I was sooooo wrong! Well, leaving that aside, here's what I think about these and their possible use on drop bar rigs for dirt. I'll leave the question of thier road worthiness to others. Okay, so they are drop bar compatible, and SRAM even made a wise decision by making a version compatible with SRAM 10 speed systems. That opens up a cornucopia of possibilities for those who have been itching for a drop bar mtb hydro set up, or for a fat bike, or for a monster cross rig, a gravel grinder, etc. Possibilities, but not without some downside. For one, these are basically Avid brakes and the track record for them has been a mixed bag. SRAM also notes that these road hydro levers are about modulation, not power, so for a fully off road drop bar rig, they still may not be workable. That said, a SRAM spokesman is quoted as saying something to the effect that these new hydro brakes are similar to BB-7's. In my experience, that's been enough power. Your mileage may vary. So, you have all of that to deal with here. You won't be seeing those hydro levers here anytime soon. The levers are said to have been lengthened to allow operation from the drops to be enhanced. That's a good thing. However; SRAM levers have a reputation in the gravel scene for disintegrating and losing their shift paddle, or to stop operating entirely. While many do not see these issues with SRAM levers, I've witnessed and heard about so many that I am loathe to try SRAM brifters on any of my gravel rigs. Thus the bar end shifters on my Vaya, which are pretty bomber in terms of reliability. Also I am thinking that I do not need more powerful brakes on gravel or dirt, and BB-7's modulate just fine. 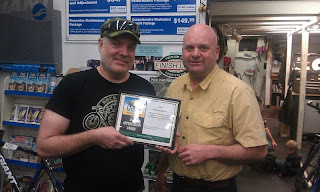 My thoughts are also that I do not have to ever worry about brake bleeds, or pads that drag that I can not adjust, and everything I have for brakes now is field serviceable, inexpensive, and works fine. Nope! Not buying into this dealio. I still think that a finer, higher quality mechanical disc brake is going to be best for gravel roads and even mountain biking on most XC trails. 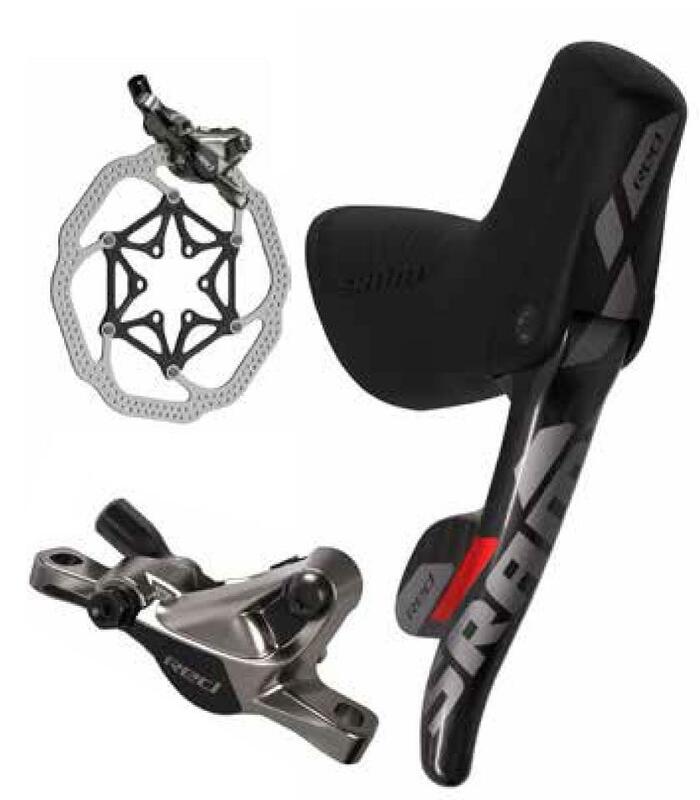 So, what would entice me away from mechanical disc brakes for a drop bar set up? Maybe a drop bar lever that wasn't a shift lever and could be mated to some really light weight hydraulic mtb style brake calipers. Maybe an electronic shift drive train would make sense with that sort of lever. Otherwise I can't see doing an ultra-spendy brake set up that is also tied to a shifter. I would rather stick with a mechanical system. But that's just my take. What do you think? Oh.......crap! 4:00am comes awfully early. One of these days I'm going to quit this nonsense. But not this year....nope! I pull on my clothes and lace up the Keens. Grabbed my stuff and headed out the door into the dank blackness of the Iowa countryside. Why? Because I needed to meet my two partners in crime to get the cue sheets verified and the roads checked one more time just prior to the running of Trans Iowa V9. Leaving Grinnell we noted right away that the roads were really looking much like they do immediately after the frost has come out. This typically happens in March, not mid-April. The roads were soft, very rutted, and there were many fast, smooth places, but just as many slow, soft, rutted places to offset that. It was below freezing when we started and the wind was frigid. The day was beautiful though, and we were treated to great scenery, wildlife, and little to no traffic. We scouted a few features in the early going and made several stops to confirm, inspect, and plan for image taking while we spent the morning hours away. Okay, here is a sample of what we were treated to most of the day. The roadway pictured above has already been "patched" once with fresh gravel, but soft conditions have basically absorbed the gravel. You can see the ruts, the wetter spots, and I will also tell you the roads were soft and spongy. So here is an example of some of the road that was faster, packed in and not quite so rutted and soft. This was not the majority of mileage that we drove, but there are miles of this sort of road out there right now. My opinion is that these won't last. We all thought that the counties would start maintaining these any day now. B roads? Why yes.....there are some B Roads! I will let a little tidbit out and say that there are zero B Roads before Checkpoint #1. None! But after that........game on! If you are wondering, "yes", the above image is a B Road you will be walking during Trans Iowa V9. Later on we noted that there was some older maintenance out there and it was deeper gravel just laid out without any grading. This ranged from "no big deal" from the standpoint of the truck's handling to us getting slightly sideways and sketchy at times. Here's another example of the maintenance we came across. This depicts the more deep, loose gravel over the older, muddy road bed. We expect there to be a lot more of this type of road where there now is smooth, dried, dirt road. As the miles went by we started to note less snow in the ditches, (yes.....there was a lot of snow in the ditches yet early on), and we started to see less rutting and less softness. The roads became drier and we started seeing dust off the truck's wheels. There was more maintenance noted, like the example above. Here's what we think we'll see more of in two weeks- Fresh, deep gravel across the roadways. It may be packed in by farm traffic as well, since the farmers are just beginning to get into the fields now. Depending on rain events and their timing, we may be looking at dealing with lots of agricultural equipment come T.I.V9. Okay, that's a wrap on recon. We found one minor discrepancy in road names, and one possible concern that may need to be addressed come race time, or maybe not. Otherwise we are good to go. Stay tuned for more announcements on the course soon. Notes To Make Note Of!! There will be no water available on course that is provided by Trans Iowa! You must source your own supplies from convenience stores, bars, farmers, or homeowners. You must carry supplies to get you by for 100 miles at all times or be pig fodder! You Must Have A Plan To Get Yourself Off Course If You Do Not Finish. You must be in control of your bicycle at all times. Running 35+mph down a hill you've never been on at night is STUPID! You must accept any and all consequences for such behavior. Related to the above point: THERE ARE POTHOLES AND RIPPLES THAT WILL DUMP YOU IF YOU DO NOT EXERCISE CAUTION ON DOWNHILLS AT NIGHT!! Related to the above point: THERE ARE MANY, MANY HILLS THAT CAN CAUSE EXCESSIVE SPEEDS AT NIGHT ON THIS COURSE!! Okay, spend over 13 hours, most of it bouncing around in the cab of a Ford Crew Cab 4X4 nic-named "Moby", and tell me that you wouldn't have a few choice memories from that adventure. Well, maybe you wouldn't ever subject yourself to such madness. Thought Bubble: This was said by George whenever a feature of the course was commented on in a way that might reflect a perceived difficulty for the riders. Meaning is that the riders would have a slew of evil thoughts being expressed in their heads in a "thought bubble", like in the cartoons, while riding said features. So- Wally might make a comment on how tough a hill looked and George would simply quip, "Thought bubble!" Geologic Explanations Of Wet Spots In The Road: Okay, this may take a bit to get through to you, but this goes back to when my co-director, David Pals was helping out with Trans Iowa. David is an accomplished and very knowledgeable geologist, and currently is overseeing a gold mining operation on the island of Fiji. Well, he would often go into detailed descriptions of geologic oddities if I prompted him with questions about such things. One of those discussions happened during the recon of T.I.V6 and concerned wet spots in the road in weird places, like near hill tops, when the valleys would be dry. Okay, so this came up with Wally, when he asked the same question, and I tried, most feebly, to say something smart about this subject in my vain recollection of David's expert analysis of this. Well, it became a sort of by-word the rest of the trip and we got many a laugh out of that! Snow In The Ditches: There wasn't just a little bit of snow in places, there was so much random snow that we started to only comment on the sightings if they were impressive in length and size, and even then this got to be tedious with so much snow sighted. Also noted- where we were still seeing snow the roads were pretty bad. Soft, very rutted, and muddy in places. I suspect these will be the areas getting maintenance in the next two weeks. Iowa Is A Beautiful Place: I know many of you might laugh at that, but I spend a lot of time where most folks don't go, and I see what is out there that most folks miss. Yes- it isn't the mountains, the desert, or some tropical paradise. Those places have their particular charm, and so does Iowa. I happen to like it. I Keep Surprising Myself: I drove all the course in two separate drives last year. This time we did it in one chunk. Maybe that was the difference, or maybe I'm losing it, but I can't remember some of the things we saw yesterday, and I hadn't taken in the course as one big chunk either. It gave me a different perspective on the course. It wasn't as boring as I thought it was going to be. But we'll let ya'all that ride it decide afterward what it was like. Thanks to Wally and George for the company and use of Moby yesterday. I had a blast with you guys and it made recon super-smooth. Okay, that's a wrap on the novelties from the recon. Tomorrow is a photo-blog edition of the course recon report. With just two weeks until T.I.V9, there is still a couple of major things to get done. Today, one of those things is happening- the final recon of the course. This does three things for me- #1: It verifies that all the roads we drove last year are still open, all the bridges are still there, and that I do not have to make any re-routes. If we do find something closed, (like we did last year), I can adjust before printing the cue sheets. #2: I have two individuals reading the cues I sent them earlier and they navigate the course as the riders would. If something doesn't make sense, or if I have something wrong, I can adjust for that before the cue sheets are printed. #3: I get a feel for how the roads are coming out of Winter and if I may need to re-route sections due to possible wet weather, or where there may be spots of concern due to road conditions. Then- if everything checks out- I can finalize the cue sheet process, print all the cue sheet sets, cut the sheets, arrange them in sets, package them, and pack them for the trip down to Grinnell. It is a big process, and it costs me not a small sum of money, or time spent. So, if you are not sure you will make it to Trans Iowa, I would ask you to please decide one way or the other before the weekend is over. It means a lot to me that I don't spend more money or time than I have to. The other thing I need to get done is to gather all the sponsor product, (which should be showing up soon), and stuff race bags. This is another process that takes a lot of time and effort. Over the past years, my two children have helped out, (child labor, but not forced, so relax! ), and we try to make it all fun. Then those bags get packed up in boxes and readied for transport in my truck. In the meantime I also have to contact and confirm my volunteers, give them instructions, make rosters for the checkpoints, and come up with any other materials I might need to put on a half way decent event. Things like paper clips, safety pins, zip ties, and more all get purchased every year. One thing that is done already are the race numbers. I finished all of them the other day, so at least that task is done. I have to get a re-route kit together again though. Weather: Of course, one of the big deals concerning the event is something I can not do anything about. The weather. We've had a very extended Winter which has turned into a very cold, wet Spring. So far the roads have been okay, but I will know more about that today, and will report on that again Monday. The pattern that has been forecast is for a storm to come through mid-week for the next two weeks, then.....???? Who knows, but one thing is for sure, if the cool/cold weather continues up to the event, the roads will probably be softer than not, and it will be a chilly night Saturday night. So if I were going to bet on the weather, I would bet on it being most like last year. Mostly cloudy, cold to coolish, and most likely windy. 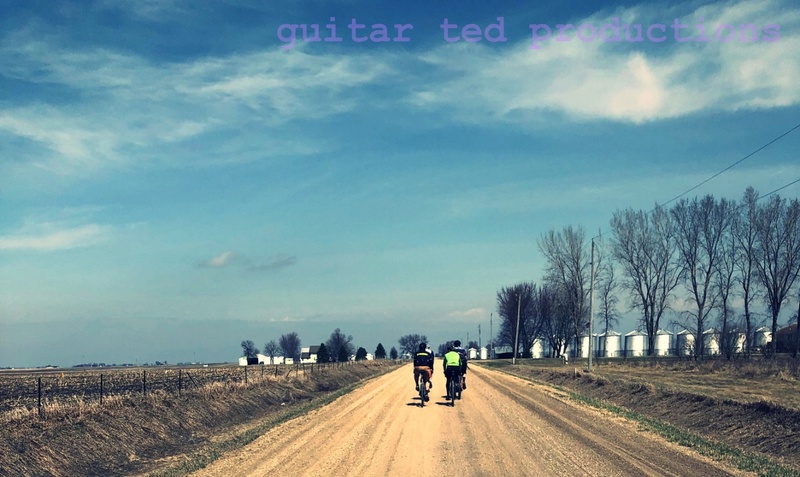 For the past couple of weeks I have done a bit on Mountain Bike Radio called the Guitar Ted Show which has focused on Trans Iowa of late. I had the honor of having past Trans Iowa finisher Tim Ek on board as well. Between us we dole out a lot of useful info regarding the event, so check that out here and here. 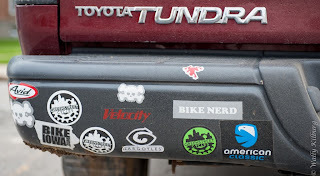 Also from Mountain Bike Radio: Folks familiar with "Trans Iowa Radio", which is the series of audioblog posts I normally put up on this site that helps you keep track of Trans Iowa, will want to note that the updates will appear on Mountain Bike Radio's site. I'll have more details with a link, hopefully, that you can use to get to the particular page where the audio downloads will appear. I will also probably use some social media with Tweets using my @guitarted1961 handle using the #TIV9 hashtag. I will also be posting an image or two on my Facebook page. Okay, one more week of Trans Iowa musing before the deal goes down. Are you in? Are you ready? Last night I had the honor of having Tim Ek on the show with Ben Welnak and we did the second part of the Trans Iowa Talk. (See the show page with the linkage here) It was a lot of fun to think through some of the gear, bike, clothing, and nutritional stuff I've seen used and that Tim has had experience with over the years. I hope anyone thinking of doing Trans Iowa, Dirty Kanza 200, Almanzo 100, or any other gravel event got something worthwhile out of that gig we did. I also want to announce that "Trans Iowa Radio", the audioblog feature I have used to give folks updates for Trans Iowa during the event, will be moving to Mountain Bike Radio for this year. Ben is going to post my messages from the course, and he will also be adding a little background info on riders where he can. So look for details on this as we move forward to Trans Iowa V9. Tomorrow there will be the last full course recon to check the route and finalize cue sheets for T.I.V9. Look for a detailed course report next week. I know one thing: It'll be wet out there this trip! Well, okay, but wait till next year! 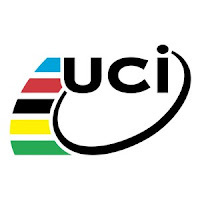 Anyway, there was such a hue and cry about this that the UCI decided to postpone enforcing this rule until next year, since things were so poorly communicated beforehand. This is good for now, but it still leaves the rule in force that many riders and sponsors are concerned about. We haven't heard the last about this! I'm not a big fan of the UCI, I'll admit, so take that for what it is worth. I think the organization is sick and in need of a lot of reform, but that's just my opinion. That said, this whole to-do seems to point out many of the things that are just plain screwy about this behemoth of bureaucratic bombast. Is This Iowa? No....it's Seattle! If there is one thing Iowans are good at, it's complaining about the weather. (Maybe it is a universal human truth, I don't know.) Anyway, you'd have to have a screw loose to love the weather we've had over the past few days. It reminds me a lot of the days that preceeded Trans Iowa V2, when it rained/drizzled/misted for two to three days before the event, and continued to do so during the event. Everything was soaked to the core. Just like it is now here. I suppose it is good for the song birds that like earthworms for a treat, or for the grass, which has sprung to life from its Winter slumber, but it isn't so hot for my disposition. I'd prefer that it dried out and that the sun would shine. But maybe that's just me. I mean, there are a lot of folks that thrive in grey, wet, clammy environments, like Seattle, or Portland. That's great, but I am glad I do not live in such a clime myself. At least it isn't snowing, like it has been in South Dakota, or up in Minnesota, where they are getting sucker punched by Winter one more time. But it can't last long, right? I mean, it is mid-April, or so says the calendar. Okay, so that's enough of that non-sense! Hopefully ya'all can get out and ride somewhere this weekend and have some fun. I'll be bouncing around the hinterlands of Iowa in a crew cab 4X4 Ford. Keep The Rubber Side Down Ya'all! Hey- You're Not From Around Here, Are Ya? I was thinking again the other day. One of these years I'll quit doing that, 'cause it always gets me in trouble. (HA!) Anyway....here's the main purpose of my post today: As cyclists, we do not look "human" or even recognizable in cycling gear. This may be an issue for cyclists." Now let me give you an example to help illustrate my theory here. Back when I was in college, I worked part time in a jewelry store. I lived in the dormitories then and had to walk a considerable distance to get to my car. This generally took me across a few campus streets and a couple of large parking lots. If I was, say- heading out to see a live band- I would be cut off by cars, not given any quarter by delivery trucks, or by campus vehicles. If; however, I was in a suit and tie, going to work, I was given full right of way by folks in cars and trucks. Often times cars would actually stop mid-block and wave me across the street. These were the same folks that would sooner run me over than let me cross if I were dressed in a t-shirt and jeans. My "theory" is that folks that are not cyclists don't see the helmet wearing, Lycra-clad cyclists as "human" either. In my experience, I am often given plenty of room if I ride my townie in my jeans and t-shirt with a ball cap on. But the minute I don a "brain bucket" and a pair of sunglasses, it seems I am seen differently. Am I the only one that sees this? Helmets just seem to make us look like aliens and dorks to non-cyclists, apparently not worthy of consideration as humans. From 2003 till probably 2008 I rode the Karate Monkey on a pretty regular basis. In that time the bike was tweaked and tweaked until I was ordering custom bikes to imitate it "with improvements". Still- this bike, especially the 2006-2008 version, was probably the coolest, most fun single speed I've had going with the possible exception of my first Inbred or my Blackbuck. Definitely the best rides I ever had were on the Karate Monkey though. Take for instance the time I decided to ride the aborted last 40 miles of Trans Iowa V2 from Cresco to Decorah. I only made it about a mile before my chain jumped ship and sawed off all the head in spokes on the drive side of my rear wheel before I came to an out of control stop on a downhill. Well......at the time it sucked. But it was a memorable day! Or all the times I did recon for GTDRI rides on this bike and the hills I had to walk up. Many of those rides were in the 60-80 mile range. The Winter of '05/'06 was another especially good memory on the KM. I did a ride to my Mom's place all on gravel which was another memorable ride in that I rode into the evening and arrived after dark. The training rides for my first Dirty Kanza 200 attempt were all done on the Karate Monkey. 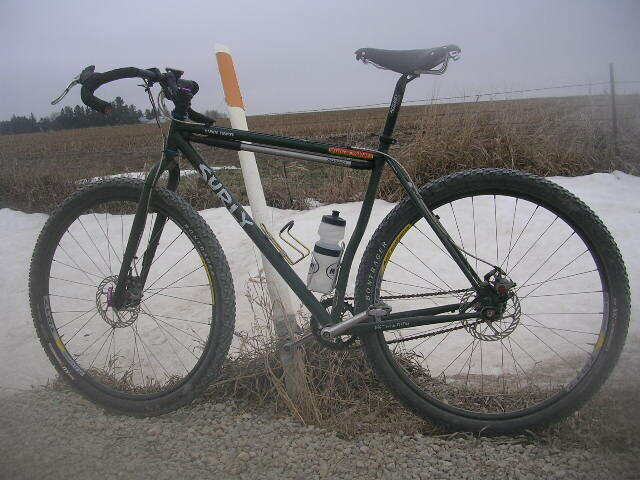 I once did an 80 miler to Nashua, Iowa and back on this bike alone on a day off. That one was memorable for the dog that about bit me and the farm girl I saw mowing the lawn....... oh! s'cuse me! Anyway, the biggest memory by far, and the biggest single day ride I ever did, was the very first Guitar Ted Death Ride Invitational back in 2006. The route was 152 miles in itself, but I also rode the approximately 16 miles to and from the start point for a total of 178 miles in a single day, all on a single speed. You learn to love a bike when you spend that much time and mileage on it. That or you hate it forever, I suppose. But either way that goes for you, all these big rides and small ones forged a love for the Karate Monkey and despite my not getting to ride it much anymore, I won't ever get rid of it. I've been sprucing up some of the "fleet" lately in the thought that Spring must surely be coming our way any day now. I've put together a few combinations and parts to get certain sleds ready for the dirt, and I've been getting a little project going for a gravel grinder to add to the fleet here as well. Saturday it was awesome out, Sunday wasn't too shabby either, and Monday, which was forecast to be sort of crappy, turns out to be a smashing day with bright sunshine and the first 70°F day of 2013. I even rode home in shirt sleeves for the first time and was seriously considering breaking out the shorts for the remainder of the week. However; when I get outside to chat with my neighbor, he is looking all downcast and talking about a snowstorm. What? I didn't believe him at first, but he looked convinced that we were headed back to Winter's icy grip for at least a short time more. Well, well, well! It looks like another postponed trail date. I keep thinking, "Another day or two, then I'll get out there", when it turns against me again. Rats! This is worse than getting old. Worse than "long in the tooth". I have rigs I need to get tested, which I thought I'd be about done with by now, and more stuff sittin' in the wings. It weighs on the mind. Then there is Trans Iowa recon coming up this weekend, which for now looks like will be a sunny, albeit cool, day for finishing up on that. I just hope this mess gets on outta here a little sooner than they think and the recon doesn't get screwed up. That would be disastrous if it did get postponed. The recon is necessary to insure that the directions get checked again, (although they have been double checked already), and that we see that the roads I chose are all still open as of now. If there is a closure, (like we found last year), I can re-write the cues for that before printing. But however it all goes, I am back into the waiting mode......again....for who knows how long now. I've been scrambling, hurrying, to get things dialed to ride, now I've got myself all dressed up and nowhere to go. Friday night: Stayed up a little too late getting everything organized for a 6 am or earlier departure from the house. I had been eyeballing the weather to ascertain the rain chances, but decided to forgo any rain gear and to not consider taking the BMC. I would later be quite pleased that I took the Vaya. Saturday Morning: I awoke at just before 5am to get some breakfast in my belly. Three eggs over easy, some water with electrolytes, and a cup of coffee. Loaded up the truck and hit the road at just before 6am. It was apparent that we had received some rain during the evening, but the clouds seemed broken up too much for any sustained rain fall. I ran through some showers on the way down, but they were very light and barely got the windshield wet. I decided to wear a Craft Windstopper base layer with long sleeves, my long sleeved Pirate Cycling League jersey, Twin Six bibs with black Bontrager commuter knickers over that. A pair of wool socks and the Vittoria shoes went on the feet. On the head went my Bell Ghisalo helmet with a tech cycling cap and a Buff head band to cover the ears underneath that. On the hands I wore some Answer full fingered gloves. This get up kept me perfectly comfy during the windy 60 degree day. I arrived at Kyle's Bikes by 7:55am, just in time to meet up with my team mates. Our start time was slated for 8:57am, so I had a bit of time to chat with folks I haven't seen for a long time. Kyle's Bikes, the Renegade Gents volunteers and the riders gathered are all great folks. The sign in process and the way the event is run is just seamless. Thanks to all the volunteers! You folks deserve it for being great to us racers and running the show so excellently. We finally got Bob's drop bag, (a messenger bag), stuffed with our extra bottles, food, and beer and then we made the 10 minute ride to the staging area. The weather was mostly cloudy and there was a strong gale coming from the South-Southwest at the time of the start. We knew from the past Renegade Gents races that we would be going primarily North to start out with on the 65 mile course. Big tailwind out, sufferage back. Well, that's the way it goes sometimes! We were okay with that and ready to just have some fun. The way out of town has about three miles of pavement till you finally reach gravel. There was a new roundabout in place that made things "interesting" when dealing with the traffic, but we managed to get out of town just fine. Well, we got to the gravel and the speeds were high, and the pace was a bit hot as well. I was working a bit harder than I would normally go, but I wasn't being taxed too heavily. The route was straight North for the better part of 20 miles with a few early jig-a-jogs. The gravel was really dry! Like summertime dry, and dust was blowing up into the air from the strong tailwind. The surface of the gravel had been maintained and was loose, usually fine, and sandy. This meant you had to really watch your lines as getting off the packed in tracks slowed you down, but more importantly, upset the handling of your bike. This was why I ended up being glad I brought the Vaya. Its wider tires helped float the bike better instead of making the wheels cut into the surface. Guys running narrower tires were fighting the gravel more and had more trouble swapping lines. The ride out was pretty uneventful and went by fairly quickly with the great tailwind push. We were chatting and having a good time, occasionally passing other teams and enjoying the fantastic, warm Spring temperatures. Eventually we ran out of Northward course and turned East to fight the onslaught of cross wind. The wind was so strong it blew dust straight across the road like a ghostly snow. My Edge wheels were sailing a bit and I was careful not to put anyone too close to my downwind side for fear of running into them if there were to be a sudden gust that might push me sideways. Then there was a short Southward section on pavement into the checkpoint town. It was a taste of the things to come, we were all thinking, and heads were down and straining as we came into the oasis of the checkpoint for a bit of recovery. I was certainly looking forward to it, as I was getting quite hungry by this point! Sam was kind enough to pack a chicken wrap which he and I shared along with a can of Four Loko and a few "cutie" Budweisers that Bob had brought for us. Eventually "fun time" was over and we set out for what we were expecting to be a really tough 33 miles back to the finish line. The beginnings of the route back were Westward, so we were working a crosswind. Steve and I shared pulls and we quickly gapped off our other team mates. When we found the turn South, we pulled up to wait for the others and then continued the march South. It was brutal, but I detected a lessening of the blast's force and a slight shift Westward in its direction. Hmm......maybe we would have it easier than I thought? I do know that at this point Bob was really starting to suffer. The 9 hour shift the night before and little sleep was catching up to him. David was hanging back with him as much as possible and Sam was somewhere between them and Steve and I when we pulled up again at a Eastbound turn. We waited again to come back together and then took off again. This stretch went on for several miles and with the shift in the wind's direction, it was a quartering tailwind. The course featured some rollers here, (the only place in the rural area of the course that wasn't flat), and as it turned out, was the best part of the race for us as a team. Bob wasn't stopping when we pulled over to take a nature break and allow him to catch back up. He walked to stretch his legs and moved on up the road. We ended up catching him before the last big Southward push and rode along with him for a bit. Of course, we didn't get too much further up the road before we were obliged to make the right hander Southward again, and Bob fell off our back again in the face of the winds power. After a bit, David came up and asked that I drift back with him and help Bob in. We were going to finish and had nothing to prove, so it made no sense to push a team mate so hard. David and I rode along with Bob then, and we finally saw Sam and Steve drift back with us. Steve and I took turns pushing Bob up some of the final climbs. Bob gutted out the big hill up the pavement on his own though. He toughed it out all the way into the finish with all of our team's respect. What a ride! Especially on an "empty tank", energy-wise and sleep-wise. We collapsed at the finish, proud of what our rides were that day and glad to have spent time in each others company. That's what the Gent's race is all about to me. Teamwork, fun, and a great day out on a bike. I think, from what I gathered anyway, many of the rest felt the same way. A good accomplishment in less than ideal conditions on some tough, albeit flattish, roads. Afterward many folks went to a local restaurant where a room had been reserved for the riders to gather and share stories of the day with each other. I got to my truck and looked at the time. HooBoy! I had to hoof it back home to make family pizza night, so I skipped out and drove home. We spent more time out there than I thought! Comfortable. That's one thing that came up during the ride, and it was Steve who mentioned it. He said it looked as though I was really comfortable on the bike. I guess I hadn't given that a thought, and so it must be that I am comfortable with this set up. Not So Comfortable. That's in reference to the saddle, which didn't quite agree with me after a few hours. There will be a swap here and that should solve that issue. Comfortably Stable. The tires in this case. They were smooth at about 50psi front/55psi rear. They went through the deeper stuff with no washing out or slipping. Not So Stable. The deep section Edge wheels in a cross wind. I was reminded of a ride a few years ago when I had these wheels on a Dos Niner and a similar situation arose. It was sketch-o-rama on some steep, fast hills. Saturday reminded me of why I am a bit less stoked on deeper section rims on gravel with wind. The Bike Itself: The Vaya is comfortable, mostly stable, (the head angle seems a bit on the steep side to me), and stiff where it needs to be. I like it. The Brakes: Wow! Touchy suns-a-guns. Very powerful, and way more than what this bike needs. Of course, I do have a 180mm rotor up front. There will be new 160 fr/r rotors fitted sometime up the road. And that's a wrap on the Gent's Race for 2013. Many thanks again to everyone involved in volunteering and organizing this event. There were 36 five man/women teams this year! Thanks to my team mates: Sam, Steve, David, and Bob. You guys made the event a blast for me. I am honored to have ridden with you again.